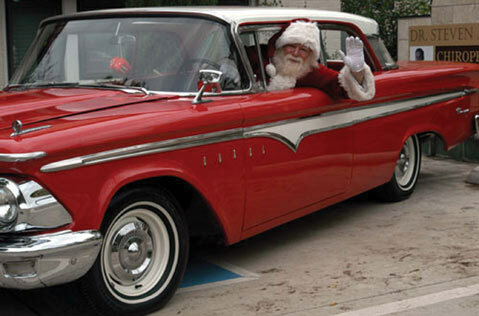 After a two-year hiatus, the 58th Annual Milpas Street Holiday Parade and Car Show returns to S.B. this weekend. Beginning at 11 a.m. on Saturday, December 10, holiday floats will parade down Milpas Street (from De la Guerra St. to Mason St.), along with musical performers, classic cars, dancing groups, and more. Old Saint Nick, riding in an S.B. City Fire Department ladder truck “sleigh,” will close the parade. The event will also feature a classic car show, showcasing woodies, hot rods, and sports cars on display between Cota and De la Guerra streets. Call 636-0475 for more info.